It's fascinating to realize how close we nearly came to having Michael Keaton appear in one more Batman movie, if the studio hadn't decided to ditch Tim Burton's "dark" approach in favor of a lighter Schumacher tone. And now, there are a few more glimpses at how Keaton's Batman could have looked. Update: Nailbiter111 with ComicBookMovie points out that two of the above suits appear on an Ironhead Studios page, identified as being from Batman Returns. 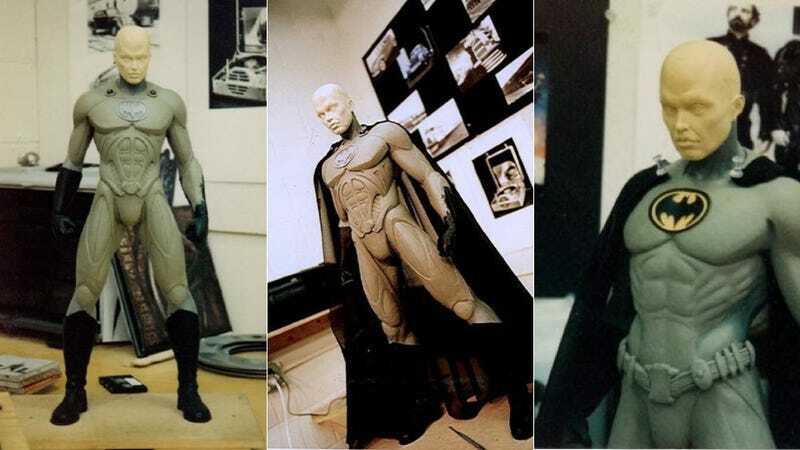 Although they look quite different than the actual Batman Returns batsuit — they were definitely an unused design for a Burton Bat-film, either Returns or the untitled third film.